Home > Digitally Enhanced Examples! See H… > How do you like Kathy's Rack? That is the question Kathy asks about this photo on her MySpace Account. I am glad she is a good sport and allowed me to post this showing the editing involved. 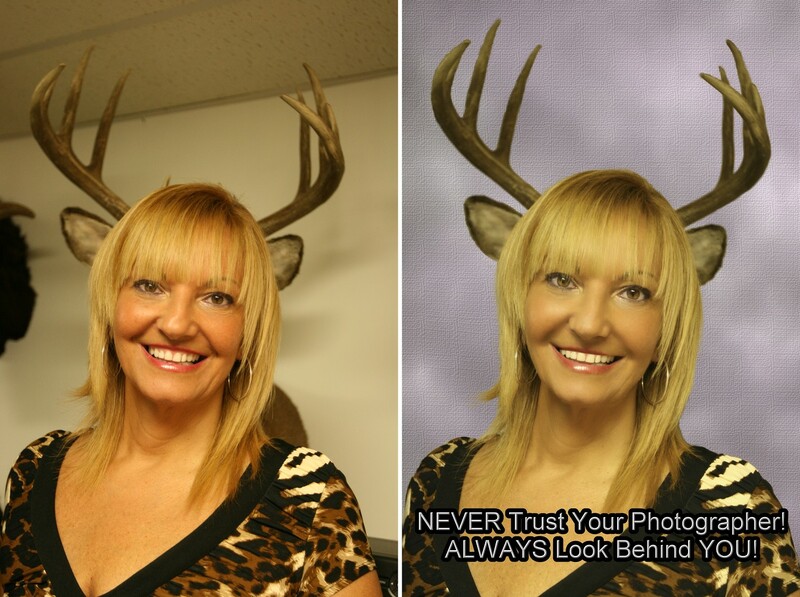 I added makeup to her face, cut her out of the photo on the left and placed her in a different background. A very deer lady? It is a neat photo.